Ideally located.Skis feet and direct access to the shopping mall. The gallery is heated which makes it possible to go out to race, to get the fresh morning bread and croissants, to go to the restaurant or to the cinema without fearing the cold or the snow. The apartment is completely renovated for 6 people. The residence has 9 floors has an elevator and is secure. All the interior of the residence has just been renovated, corridors in the ski locker room, collective lighting or the entrance of the building. Large living room with white leather sofa NON CONVERTIBLE into a bed and nice furniture. A Savoyard table and six chairs for comfortable meals with family or friends. Open modern kitchen: dishwasher, microwave oven, ceramic hob, Nespresso machine, kettle, toaster. 3 / a second separate toilet. The building has direct access to the mall (food shops, restaurants, cinema, rental companies, ski school etc ...) overlooking the slopes. Ski lockers are right next to the exit. digital code, parking nearby. A deposit of 1500 euros is required. Pets are not allowed and the apartment is non-smoking. The resort of La Plagne is connected to the Paradiski estate. It offers hundreds of kilometers of marked and secured trails for an audience of all levels, from beginners to champions. On the other hand, are proposed on the station of Plagne center many other activities. Pets are not allowed. The apartment is non-smoking. You can see the slopes and NO CARS! The exposition of the apartment is South and,as I remember when you came,it was exceptionally hot in the Alps..that is probably why you had too hot..but it was such a pleasure to have such sun on the slopes,wasn t it? Also, the residence depends on a central heating. Linen is not provided and totally out of my business. Before coming,you asked me if I know how to rent linen,I told you..if I well remember, you didn't t take it..I don t understand where I am concerned in?.. I think next year I will take the wifi and give a code ..but some of my friends living in La Plagne told me it wasn't t very performant..
=>ski school(s) slopes and shopping next door are real benefits! Hope to see you again. Why don t you come for easter? What a lovely apartment! Very bright, and a real bonus to have 3 bedrooms and two bathrooms for a family of four! Nathalie was very good at answering our questions, recommending linen providers and taxis which we used and were perfect. The kitchen has everything you need except for an oven but we made do with the hob and microwave, used the nespresso machine daily and valued having the mini market, bakery and butchers within steps of the apartment block and all under cover. A real gem! We'd definitely stay again! We had a lovely stay in Nathalie's appartment in March 2018. The apartment is clean, tidy and comfortable and was perfect for me and my family of four adults and two children. Nathalie was always quick to respond to any queries i had before and during our stay and even called me to help through the changeover procedure and accommodated our early departure of 5:45am! All beds were comfortable and fresh linen was provided on arrival. The apartment is a nice size and has a nice open kitchen, lounge, dining area. The kitchen has all the amenities needed for a weeks stay. The apartment has a nice view towards the slopes and is conveniently located right by the supermarket, ski shops, restaurants and bars. A 50 meter walk from the ski locker will see you at the foot of the slopes next to the main gondola and colorado chairlift. If i had any criticism of the apartment, it would be that there isn't any real wardrobe space. There are some shelves and drawers for clothes, but i would say it probably isn't enough for six people. 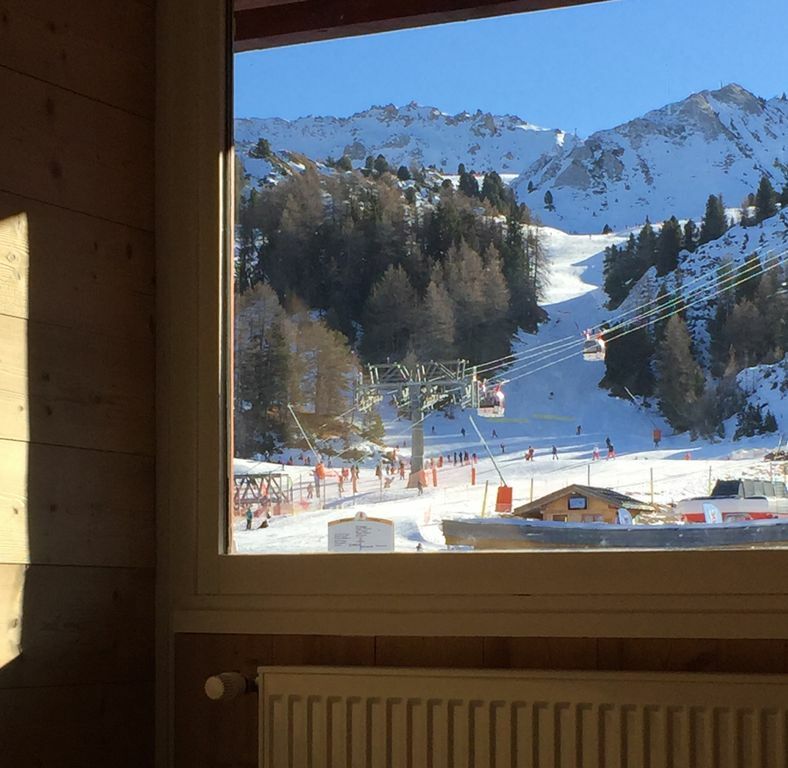 Overall we were happy with our stay and enjoyed our time in La Plagne and would stay at Nathalie's apartment again. Mooi en sfeervol ingericht appartement in het hart van Plagne Centre. Vlak bij pistes, skischool, liften, etc. Erg praktisch; het appartement ligt aan de galerijen die onder door Plagne Centre lopen, waardoor je op je sloffen 's morgens vers brood kunt halen - vlak voor je deur.